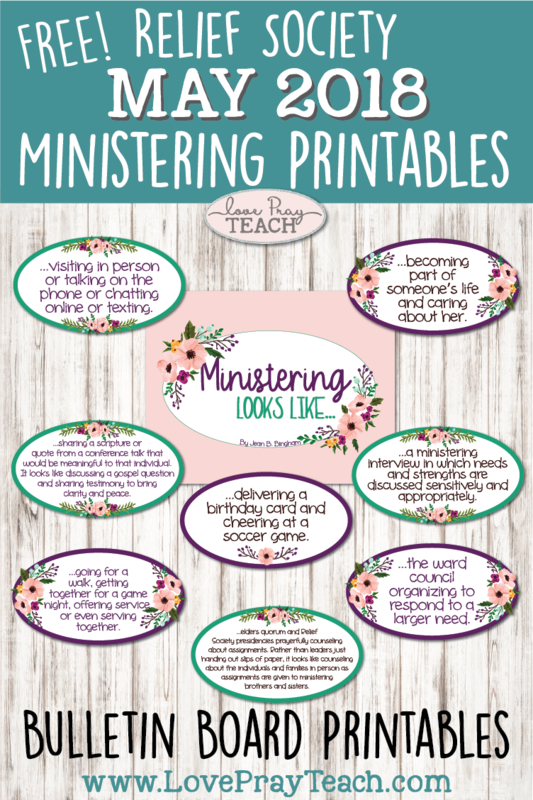 Each month, I am going to be offering a new 8.5"x11" poster for Ministering! 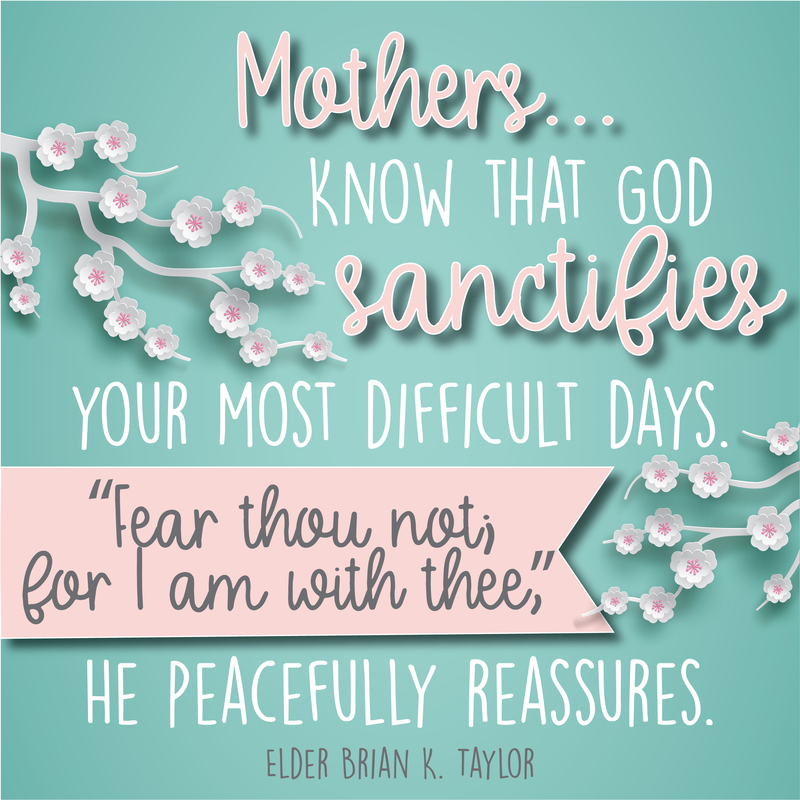 You can use these to decorate your Relief Society bulletin boards or on your Ward's bulletin board in the hallway. 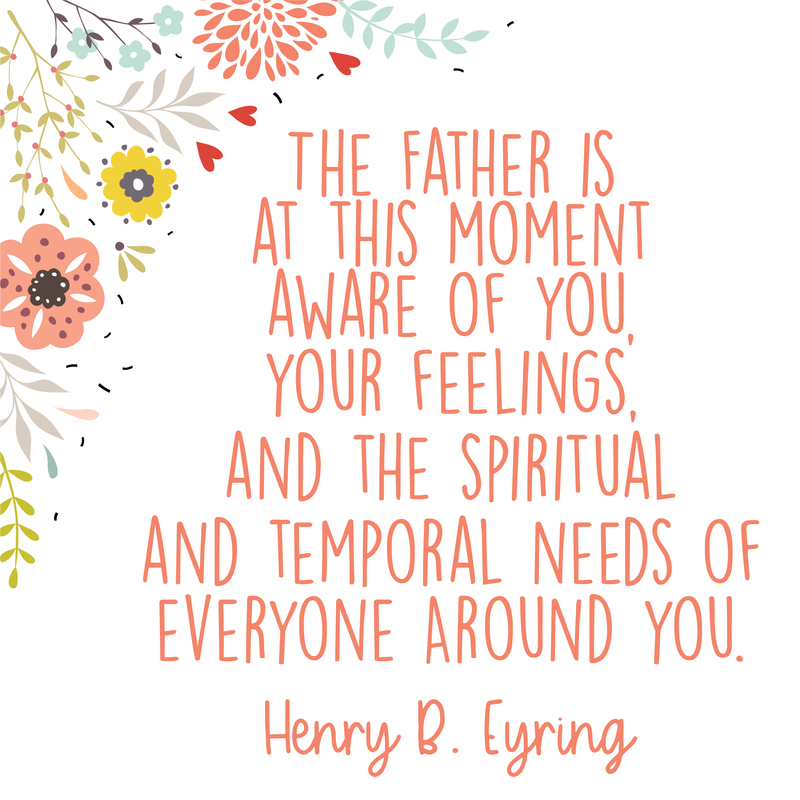 This year, I will try to focus the posters on quotes about Ministering so that we can all continue to learn how to minister better! 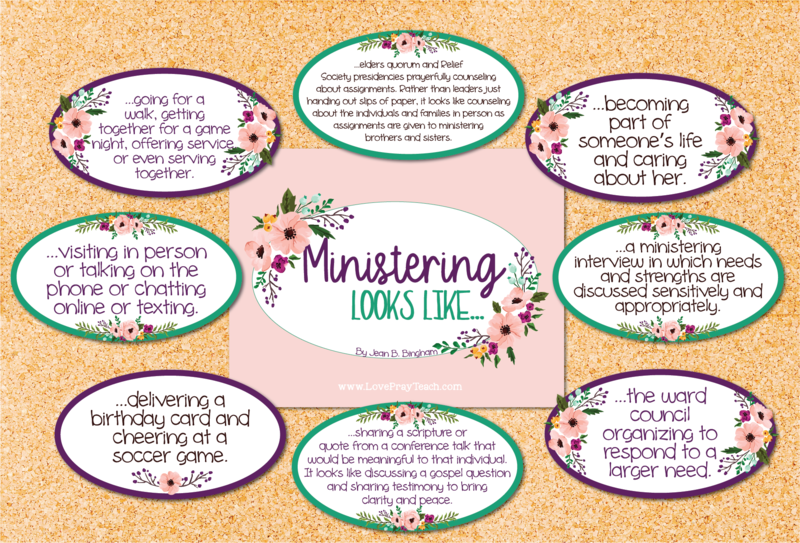 This month's poster, I used the beautiful quote by Sister Bingham about "Ministering looks like..." There is one main poster and then smaller ovals that you can cut out and put around the main poster. I've also included 2 blank ovals if you'd like to add to the quote! 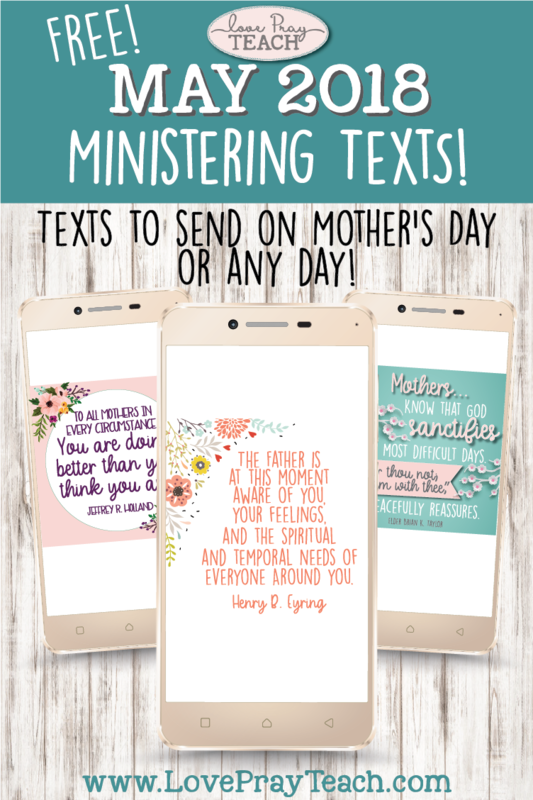 I thought it would be fun this month to send the Sisters you Minister a text to let them know you're thinking about them on Mother's Day (or any day!) 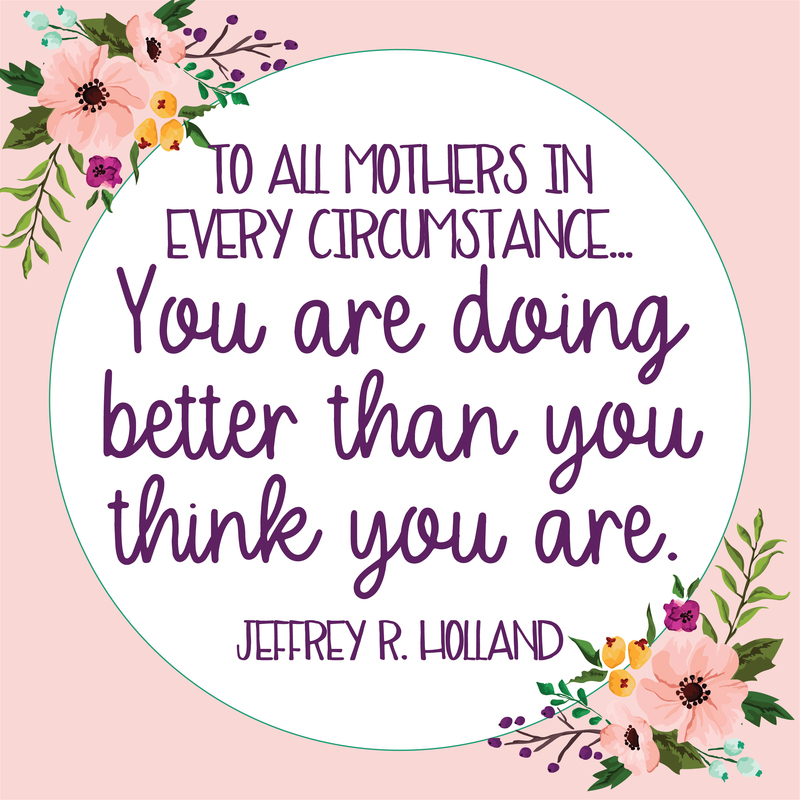 I've created 3 different images that you can use - two of the quotes are from April 2018 General Conference. If you'd like to save these images to you're phone, right click on the image and "save as." Once you have it saved to your computer, email it to yourself. Now open your email on your phone and save the image into your photos. If you are reading this already on your mobile device, you can save it by clicking on the image. Once it opens into a new screen, hold down your finger on the image and it should let you save it to your phone. You can also take a screen shot if that doesn't work! If you'd like to print the quotes above, click here to download the high resolution images.